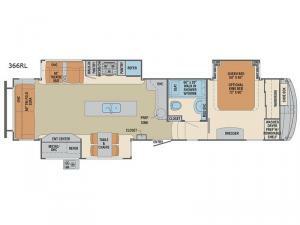 If you like to cook while away from home with the choice of being outside or inside, take a look at this fifth wheel. When it is time for breakfast, the kitchen offers plenty of floor space thanks to the dual slide outs in this area, and counter space on the center island with a large stainless steel double bowl sink, and the single prep sink on the additional countertop. You might even like the cook the bacon on the outside kitchen or in exterior microwave. All the furniture including the power theatre seats with USB charging and storage provides a place to relax and enjoy your drinks while looking outside at the beautiful view or watching the 50" LED TV. After shopping in the local town square or riding your bikes on the trails, the pillowtop mattress in the master bedroom will be waiting for you. Take a look today! With any Columbus fifth wheel by Palomino you can enjoy the finer things while exploring the countryside. From the 8'5" wide body with painted fiberglass front cap on an all welded aluminum frame superstructure to residential crown molding throughout, you will continue to love all the residential details every time you hit the road. 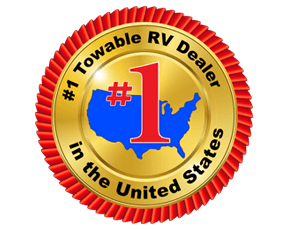 You will also appreciate the MyRV system, the 30" residential microwave for baking and reheating leftovers, the central vacuum system, and the many upgraded features you will find in each model. Come see why owning a Columbus fifth wheel is the correct choice for you!